Generally glittering dust that emanates from mystical creatures is a sign of enchanted magics at work. The most famous is of course Fairy Dust. Something Fairies produce when flying, or utilizing their powers. Elves hard at work, or utilizing magics may produce Elf Dust from their hands. Walking can cause the dust to sparkle from their feet leaving a clear trail behind them. These are in essence enchanted waste products caused by metaphysical energies being exerted in our physical world as metaphysical matter. If this was a perfect paranormal planet made of enchanted energies then dandy dusts of the supernatural sort wouldn’t exist! Most often Elf Dust is a by-product of their respiration process. When exhaled it’s invisible most of time. However it accumulates in the surrounding environment. At North Pole City much of the glitter in the snow is actually Elf Dust. The majority of Elves, including Santa Claus’s Enchanted Elves, only breath the Helium in our atmosphere. This partly explains their comical low pitched voices. Helium composes a mere 0.000524% of our air as opposed to the Oxygen we breath which makes up 20.946%. Elfin cells paranormally process the Helium, and manufacture an Argon-Neon compound of Ar²Ne³ that is exhaled from their lungs. Scientifically such a compound could never exist but this is the world of the supernatural we’re talking about here. That being said the second this rare gas hits the air it immediately breaks down to Argon, and Neon. These gases, famous for causing the glow of Neon lamps, emit a brief glow from the Elves nose, and mouth if viewed in complete darkness. In addition the exhaled Elf Dust will visibly shimmer in that moment as well. than the Fairy variety. 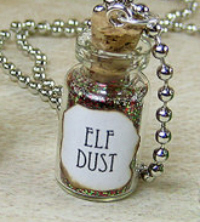 Elf Dust on it’s own can be manipulated to provide temporary powers. In some cases breathing it in, or eating it directly can cause supernatural side effects. Simply carrying it around is thought to bring good luck. 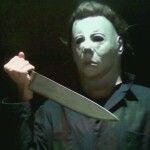 Tossing it at an entity of evil often causes some measure of repellent properties. Elf Dust can come in a variety of colors that can produce a plethora of paranormal properties. Santa’s Elves produce a multi-colored dust with emphasis on the red, gold, and green glitter. Genuine Elf or Fairy dust always emits it’s own luminosity. However the metaphysical energy powering it dissipates over the centuries, and most varieties will dull after 1000 years. 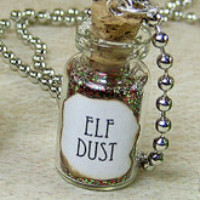 If you should come across Elf Dust then use it sparingly because you may never find any again! Is ‘Elf on the Shelf’ making children paranoid? Are you experiencing elf fatigue? I am. 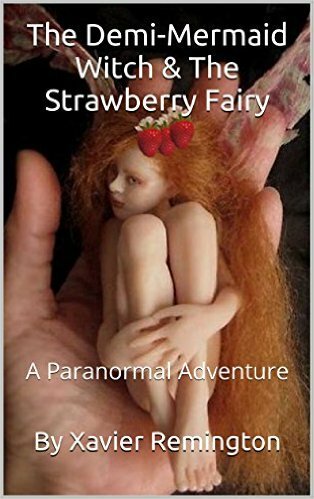 This entry was posted in Christmas, Santa Claus, Supernatural Beings and tagged Elf Dust, Elves, Fairy Dust by Xavier Remington. Bookmark the permalink.